When I asked Beer O’Clock Show whether it would be permissible to take an ad-hoc approach to #12BeersofXmas and got a positive response, I thought it’d be a breeze. Far from it; it’s a busy time of the year and at times I’ve struggled to maintain the required momentum. Also, judging by the Instagram photos I’ve seen and blogs posts I’ve read (including some absolute crackers), my beers appear to be somewhat lacking. That said it’s the taking part that counts and it’s been a pleasure to be part of this festive, beery adventure. Anyway enough of the introspection. 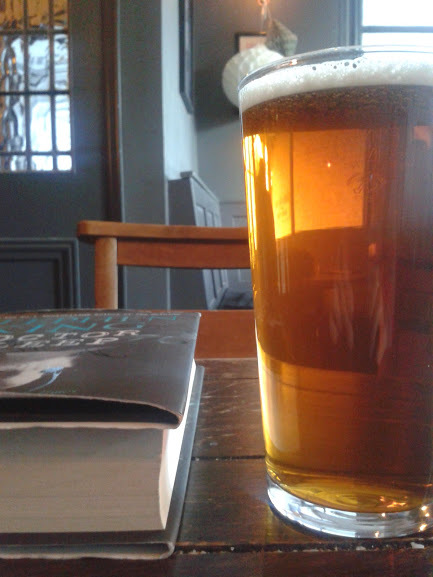 I’m fortunate enough to be off work this week so after taking care of some chores earlier today I decided to pop into the Duke’s Head in Highgate. Recently voted the area’s best pub by Time Out readers, I could think of nowhere better for a quiet Monday afternoon pint. It didn’t quite turn out that way, however, due to the fact there was a bizarre darts tournament being played out as I arrived, with the (very boisterous) participants in fancy dress (including a Mexican wrestler, a man in a dress, and cliched parodies of the Scots and the French). Still, the tap list and service more than made up for it which brings me to my day 10 beer: Siren Craft’s Ryesing Tides. My chosen beers on days 8 and 9 were rye beers and as the name suggest so is this 7.4% Rye PA (if you will). Hopped with simcoe and mosaic and part of Siren’s seasonal IPA series, it’s dry and earthy but also fantastically juicy and tastes like a beery mango Rubicon. I’ve run out of superlatives when it comes to Siren Craft Brew and my only regret is that they won’t be brewing this beer all year round. I’m going back to Duke’s for Hogmanay but at 7.4% I may steer clear of the Ryesing Tides, at least till the bells. I have previous at this particular establishment. This entry was posted in Beers and tagged #12BeersofXmas, Highgate, Ryesing Tide, Siren Craft Brew, The Duke's Head. Bookmark the permalink.